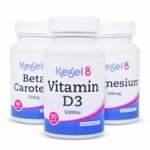 The contents of this Kegel8 supplement pack should be taken daily over 12 weeks 3 months) to feel the benefits and positive effects that these supplements can have on incontinence and bladder issues. 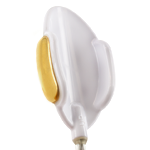 Used alongside the Kegel8 12 Week Pelvic Floor Exercise Plan, you will see an even greater improvement in your bladder health. The detrusor muscle is a smooth muscle found in the wall of the bladder. It can become overactive, contracting when you don't want it to, causing urge and overflow incontinence. 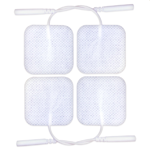 Magnesium reduces this excessive nerve stimulation, helping to relax the muscle. A double-blind trial found that women who took 350 mg of magnesium hydroxide (providing 147 mg elemental magnesium) twice daily for four weeks, had improved bladder control and fewer symptoms associated with urge and overflow incontinence. Other benefits of taking beta carotene supplements include hair and nail growth, and more recently it is used to enhance natural tanning. Vitamin D is essential in maintaining your musculoskeletal health. This includes keeping your pelvic floor healthy and strong. If you are deficient in vitamin D, you will likely experience symptoms of severe urinary incontinence as your pelvic floor muscles are unable to sufficiently support your bladder. Keeping a healthy pelvic floor is essential in preventing other pelvic floor disorders such as pelvic organ prolapses and faecal incontinence. Vitamin C supplements have been proved to reduce the prevalence of urge and overflow incontinence. Especially beneficial in young women, vitamin C can treat recurring urinary tract infections. 3 month supply of the following supplements: Magnesium, Beta Carotene, Vitamin D3, Vitamin C, Collagen and Power Dophilus.